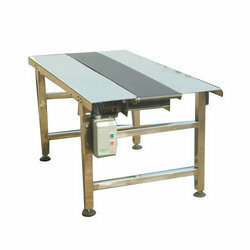 Providing you the best range of inclined belt conveyor, inclined cleated belt conveyor, flat belt conveyor, take off conveyor, table conveyor and belt conveyor for food processing with effective & timely delivery. 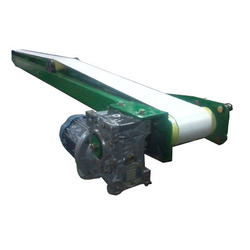 We have with us a range of Inclined Cleated Belt Conveyor, that are extensively used in the applications of automotive, warehouses and various other sectors. 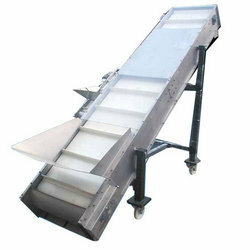 These belt conveyors are suitable for heavy-duty applications and movement of large and bulky products. Sturdily constructed using best grade components, these are known for high performance and better durability. Further, we also make sure that these are in compliance with set industrial standards. 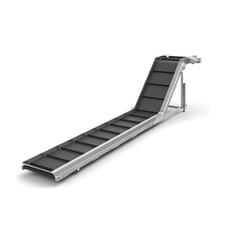 We are one of the leading manufacturers and suppliers of Flat Belt Conveyor, suitable for continuous heavy-duty applications and the movement of large and bulky products. 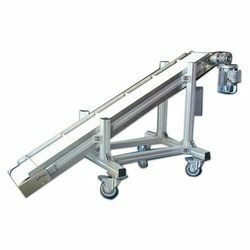 These versatile conveyors are available in various specifications and are provided with a multitude of options, like - belt, drive, tail, stand and rail options. 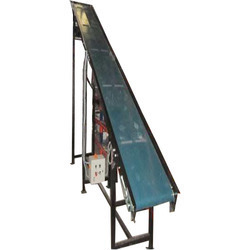 Our customized variety in belt conveyors includes inclined flat and cleat belt that are designed to meet the defined process demand.